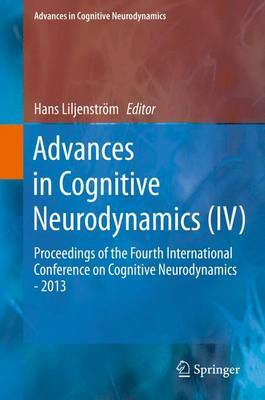 This volume is the proceedings of the 4th International Conference on Cognitive Neurodynamics (ICCN2013) held in Sweden in 2013. The included papers reflect the large span of research presented and are grouped in ten parts that are organized essentially in a top-down structure. The first parts deal with social/interactive (I) and mental (II) aspects of brain functions and their relation to perception and cognition (III). Next, more specific aspects of sensory systems (IV) and neural network dynamics of brain functions (V), including the effects of oscillations, synchronization and synaptic plasticity (VI), are addressed, followed by papers particularly emphasizing the use of neural computation and information processing (VII). With the next two parts, the levels of cellular and intracellular processes (VIII) and finally quantum effects (IX) are reached. The last part (X) is devoted to the contributions invited by the Dynamic Brain Forum (DBF), which was co-organized with ICCN2013.